Using this approach, a reverse mortgage loan is established at the outset of retirement and drawn upon every year to provide retirement income until exhausted, allowing the retiree’s investment portfolio, such as a 401(k) plan, more time to grow. Subsequent withdrawals are then made from the portfolio. This strategy also enables the retiree to delay accessing Social Security benefits, thereby increasing their monthly payments later in life. For example1, Esther is a 62-year old homeowner who wants to let her investment portfolio grow and delay using her Social Security benefits. She gets a reverse mortgage loan on her $350,000 home and qualifies for an estimated loan of $183,400. She then elects to receive monthly payments of about $1,000 until she turns 70 years old. 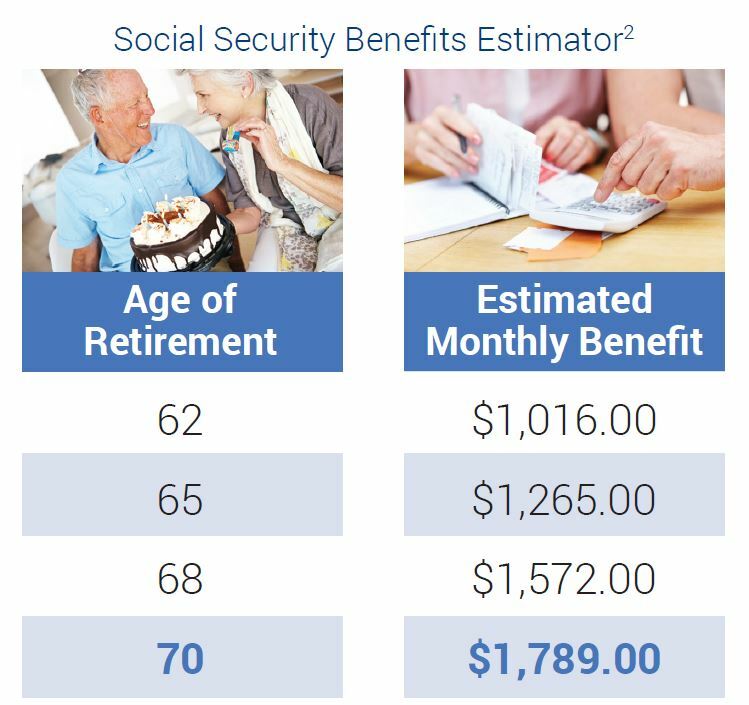 As referenced on the chart2, if Esther decided to receive her Social Security benefits at age 62, she would have received an estimated lifetime monthly benefit of $1,016. 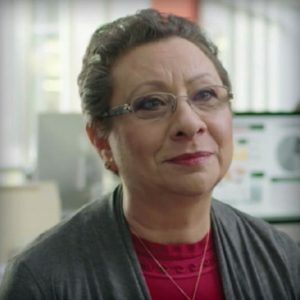 By using a reverse mortgage to help delay her Social Security until age 70, she is now eligible to receive a monthly benefit of $1,789, almost double what she would have received at age 62. 1This example is based on a reverse mortgage loan with a monthly adjusting variable rate feature, a borrower age 62 and an APR (annual percentage rate) of 3.277%. There are no liens on the property to pay off, or set asides for repairs, taxes, or insurance. Proceeds will be affected by the appraisal and costs associated with obtaining the loan. The APR may be increased after consummation. Using this second approach, a reverse mortgage loan can be established at the beginning of retirement to help minimize investment portfolio risk. 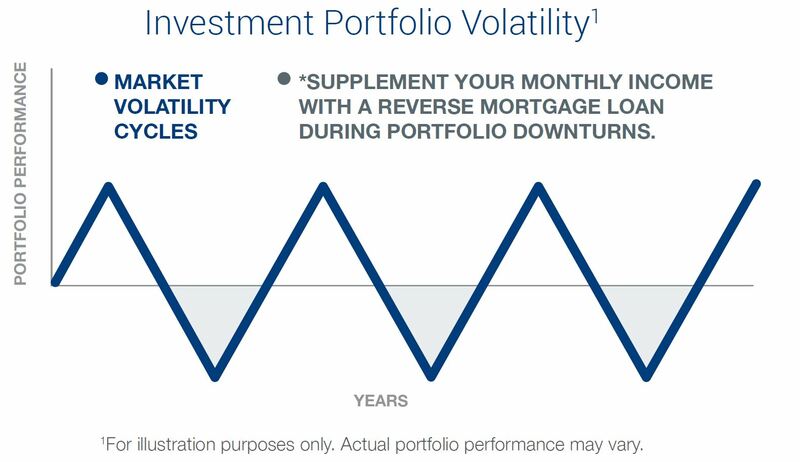 A reverse mortgage loan can supplement monthly income during portfolio downturns due to market corrections or recessions. Drawing on your investments during “trough periods” may lead to a higher chance of exhausting them during retirement. A reverse mortgage loan may allow you to preserve your investment portfolio longer during retirement. A line of credit can be established using a HECM Reverse Mortgage Loan and is left to grow at an interest rate that is equal to the current loan rates. This line of credit also includes a compounding feature so that available credit increases each period on the prior period’s available credit balance. At any time, the line of credit can be accessed for incidental cash or even converted to monthly term or tenure payments, similar to annuity payments. Using these active strategies, cash reserves are made available upfront and incorporated into a plan, giving your portfolio the maximum amount of time to grow and the best possible chance of meeting your financial needs in retirement. You can still live in your home without making monthly mortgage payments‡, feel confident about being financially prepared for emergencies, have a growing line of credit available to you while improving your Social Security opportunity – all while maintaining your desired quality of life. Simple and effective. ‡Borrower must maintain home as principal residence, pay all taxes, insurance, maintain the home, and comply with all other loan terms. With Modified Tenure plans, lender will set aside a specific amount of money for a line of credit.